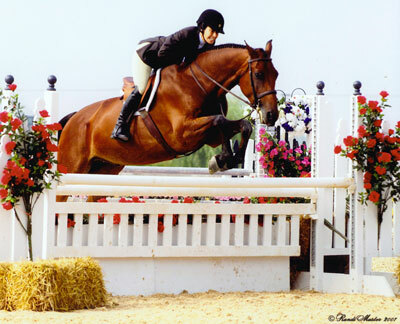 Cathy Sacher is the founder and president of Essex Classics Riding Shirts, a top brand for A-circuit riders. As a horseperson, she knows what riders need to look their best and be comfortable in the show ring. Cathy provides insights into the current Essex riding shirts available at the WIHS Online Store. WIHS: What’s new and special this season at Essex Classics? Cathy: We're so delighted that riders across the country have responded so well to our new wrap collar riding shirt in exclusive CoolMax Performance fabrics. This new style has no chokers, yet the collar wraps slightly around the neck to create the appearance of a traditional riding shirt. Also, an exciting new addition to our Essex Collection is a short sleeve CoolMax knit shirt in the wrap collar style. 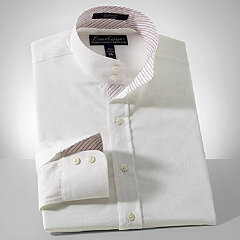 This shirt is tailored in an attractive European fit and is accented with dark navy piping on the shoulder. Cool in Competition: Essex Ladies Bella CoolMax short sleeve knit show shirt with wrap collar and navy piping. Are you seeing certain trends in the market? Cathy: Our new wrap collar riding shirt seems to be making an impact on the design of competitive show shirts. 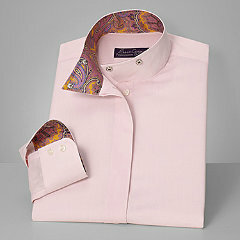 Shortly after introducing our new wrap collar, two other shirt companies have attempted to copy this design. Regarding trends, most riders are attracted to the contrasting trim in both our traditional riding shirt and our new wrap collar shirts. The trim is located usually inside the collar, cuffs, and front placket and when buttoned up has a very traditional appearance. However, once leaving the show ring, the rider can roll up her sleeve, unbutton her collar, and reveal a unique relaxed and trendy look. We initially offered the contrasting trim in interesting cotton patterns and florals, but recently we have introduced an exclusive line featuring gorgeous Italian silk trims which seem to be jumping off the shelves at the stores. Do you see any specific color trends? Cathy: Definitely. 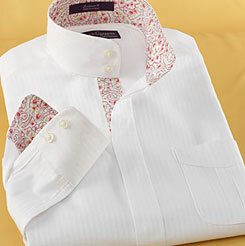 Our white-on-white fabrications with elegant paisley Italian silk trim are our strongest selling shirts. Next, I would say the solid pastel colorations with floral trims are also selling quite well. How can riders stay cool in the heat of summer showing? 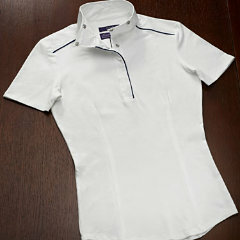 Cathy: Every riding shirt company has their own wicking fabric they prefer to help keep the rider cool. At Essex, we’ve tested the different fabrics available and have found that CoolMax maintains itself better over time so all our Performance shirts use CoolMax which was originally developed by Dupont. It’s really fascinating to understand how CoolMax works. It’s like thousands of soft tubes pulling the moisture away from your body so the rider stays cool under their jackets. It’s also easy to launder and requires minimal ironing. 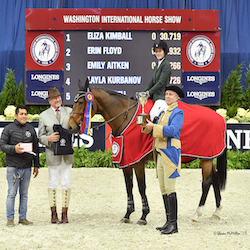 What tips can you give riders competing at Washington to make sure they look their very best at Verizon Center? Cathy: Elegance is always in vogue. When showing at Washington, make sure you are impeccably dressed with proper fitting apparel and, most important, avoid faddish designs. Looking ahead, what do you see new and noteworthy in fall riding shirts? Essex Classics Shirts are available at the WIHS Online Store. A percentage of all sales on the WIHS Store help support the show.